Banks, governments and corporations often propose development projects without the input of local communities. The Early Warning System collects information about proposed and existing projects. The team summarizes and verifies project information. 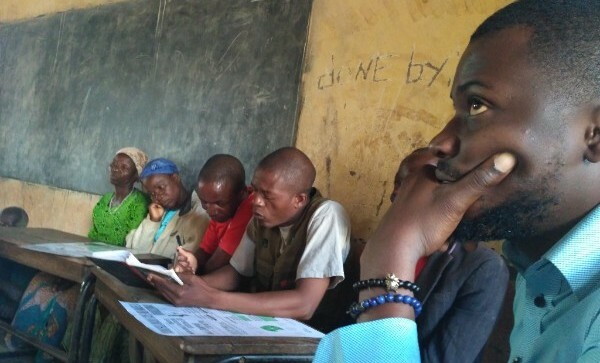 Civil society partners and local communities receive verified information about projects and resources to support their response, ideally before funding is decided. Communities may organize meetings and conduct their own research. Through workshops and trainings, the EWS team and partners reinforce community efforts. Communities decide to take action and advance their own priorities for development. The EWS team and partners continue supporting community campaigns. Your community’s priorities should lead any development project. When projects are proposed without you, it is necessary to receive information about the project and how to respond. Increased participation by communities can prevent harmful projects and lead to the development your community wants. Sign up to receive updates about the Early Warning System! The Early Warning System will use the information you provide on this form to get in touch with you and to share updates. You can change your mind at any time by clicking the unsubscribe link in the footer of any email you receive from us, or by contacting us at ews@rightsindevelopment.org. The Early Warning System is committed to ensuring the ethical use of data that prioritizes the right to privacy and security and minimizes potential harm to individuals and communities. For more information about our privacy practices please visit our Data Policy Page.